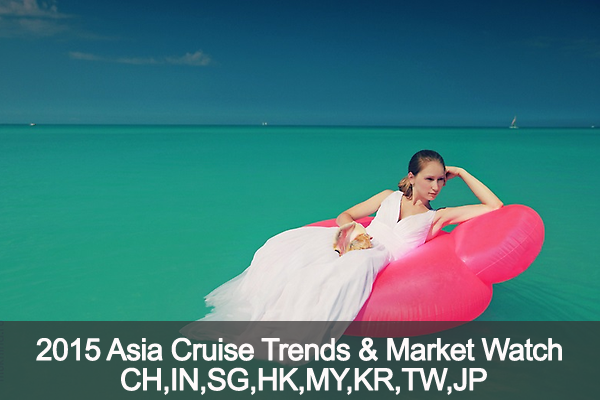 Asia’s cruise tourism is growing at double-digit rates – both in terms of capacity deployed in the region and as a passenger source market. Asia has had the greatest gain in share of global capacity deployment, but it is still at only 6%, which is not very high considering that Asia is home to well over half of the world’s population. Covers eight Asian markets: China, India, Hong Kong, Singapore, Malaysia South Korea, Taiwan, Japan. Over 2,400 respondents (300/market). All respondents defined as affluent with annual household incomes as per the table on the right, and minimum n=100 per market likely or possibly going on a cruise in the next 12 months.